EZ line is unbeatable for simulating Telephone and Electric lines, all suspended wires, ropes, fences, etc. This Elastic Polymer will stretch when bumped and instantly go back to it’s original shape. No more re-glueing bumped telephone lines! No fuzz or kinks. 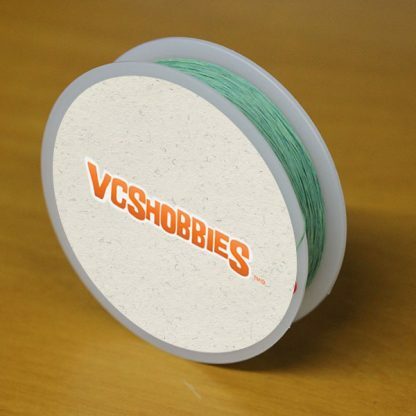 Sold in 100 foot spools, in colored or natural white options. 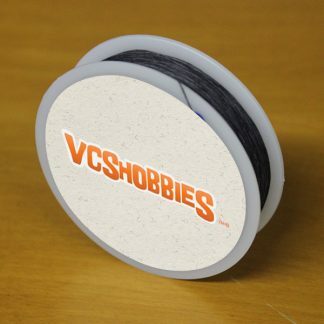 Two sizes are available to accurately simulate both electric lines, telephone cable, or whatever else you may need. 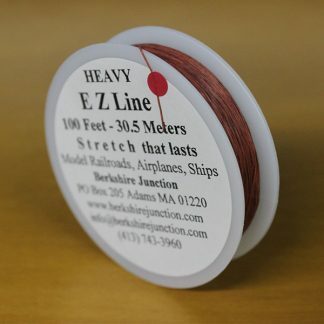 Other uses of EZ Line: Ship Rigging, circus tents, guard rails, crane rigging, bows for archers, Antennae wires, and bi-plane wing struts and wires. 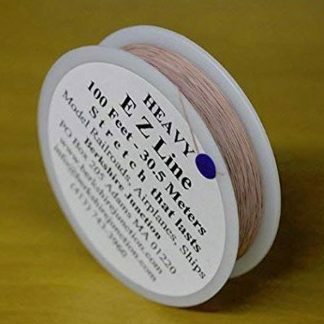 EZ line comes in 2 sizes – Fine and Heavy. Fine: is recommended for N and HO scale. Heavy: works well on S and O scales, and as high tension wires in HO Scale. 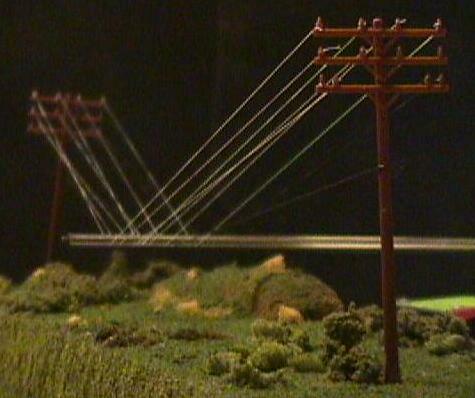 In some HO and S scale layouts, a mixture of large and small diameters looks best, for example, simulating both Telephone cables and electric wires on a pole. Note: The charcoal color in fine size does not show up well (actually, it can almost “disappear”) against a dark background such as ground cover, trees, or towns. We demonstrate this on the diorama that we use at shows and many customers choose the green (which has just a hint of color) or the white which shows up more. It’s your model – so it’s your choice; but we just wanted to let you know this. 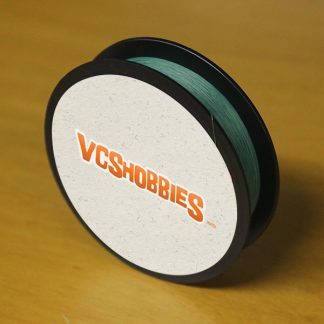 Available in 100 foot spools, natural white and 100 foot spools, green (old copper), charcoal, rust (great for barbed wire), or rope.